Train No. 07016 Secunderabad-Visakhapatnam special train will start from Secunderabad at 17:55 hrs o­n 24th August, 2017 (Thursday) and arrive Visakhapatnam at 06:50 hrs o­n the next day. In the return direction, Train No. 07015 Visakhapatnam-Secunderabad special train will start from Visakhapatnam at 17:00 hrs o­n 27th August, 2017 (Sunday) and arrive Secunderabad at 05:50 hrs o­n the next day. Route: These special trains will stop at Kazipet, Warangal, Khammam, Vijayawada, Eluru, Tadepalligudem, Rajahmundry, Samalkot, Tuni and Duvvada stations in both the directions. 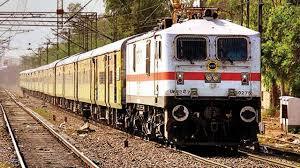 These special trains will have two AC II Tier, fourteen Sleeper Class Coaches.